Having been established many years Balloonzone based in Beckenham in the London Borough of Bromley provides an experienced, imaginative, reliable and competitively priced balloon delivery and venue decoration service for both private and corporate clients. These include Burger King, Specsavers, Mercedes Benz Sainsbury's and the London Borough of Bromley to name but a few. 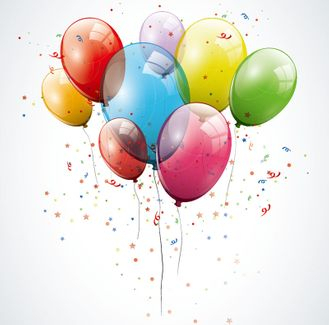 No matter what the occasion, balloons will 'lift' any celebration or event and delight, impress and intrigue your guests. Apart from the London Borough of Bromley, we cover the Boroughs of Lewisham, Greenwich, Bexley, Croydon, Sutton, Lambeth and Southwark. We also work throughout South London including Brixton, Clapham, Streatham and Crystal Palace as well as Central London. However, we can travel further afield if required. Using only the highest quality products, we are able to offer an exceptional level of service and attention to detail, no matter how complex or straight forward your requirements; from the delivery of balloons to your home for a party, to the elaborate decoration of a function room for a Special Occasion or Corporate Event. 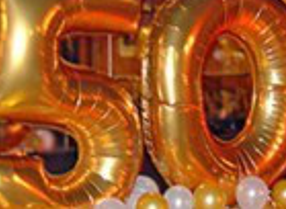 We usually use Qualatex Latex balloons, which are one of the best available and come in a vast array of colours or ready printed designs for a variety of occasions. These are available to view under the 'CATALOGUE' button. We use metallic ribbon as standard, which looks stunning, and can treat latex balloon with hi-float for longer life. We also offer custom balloon printing, helium gas hire, children's character balloons and banners. Other related products can be supplied upon request. We have been awarded 5* by Google and Yell customers who have taken the trouble to give an on-line review. If you would like to receive a selection of the many 'real' Testimonials we have received, we would be happy to oblige. You can view our latest work on our Facebook page and view videos on YouTube. Please contact us to discuss your special occasion or event, or simply complete the form on the 'CONTACT US' page to request a call back or to receive a quotation. Chemists - London W.1 • Sundridge Park Manor - Bromley BR1 - Dirty Martini, - Hanover Square, London. W1 • Hallmark Hotel - Purley Way, Croydon - Club Langley - Beckenham. Kent.